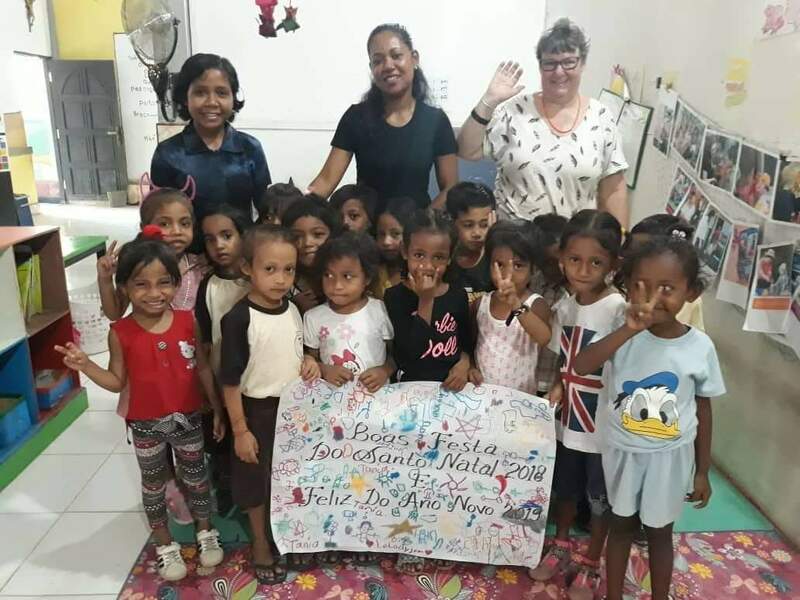 Christine Davids with teachers and students from Paroquia St Teresinha do Menino Jesus in Bedois, Timor Leste. 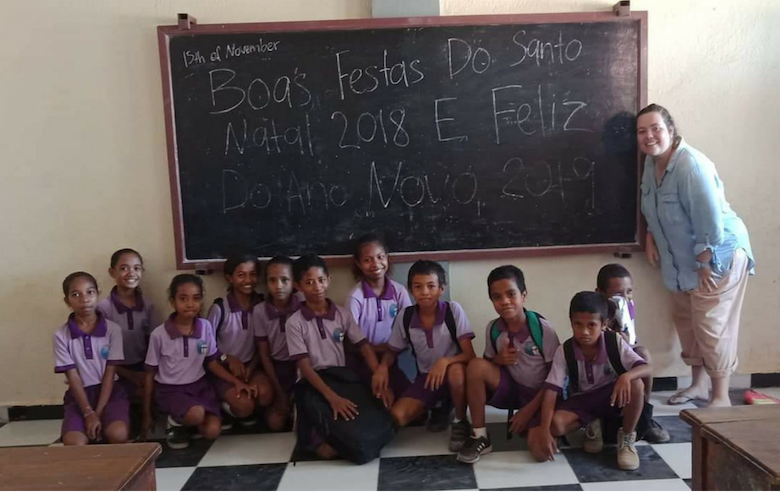 Rhoe Price with students from Paroquia St Teresinha do Menino Jesus in Bedois, Timor Leste. 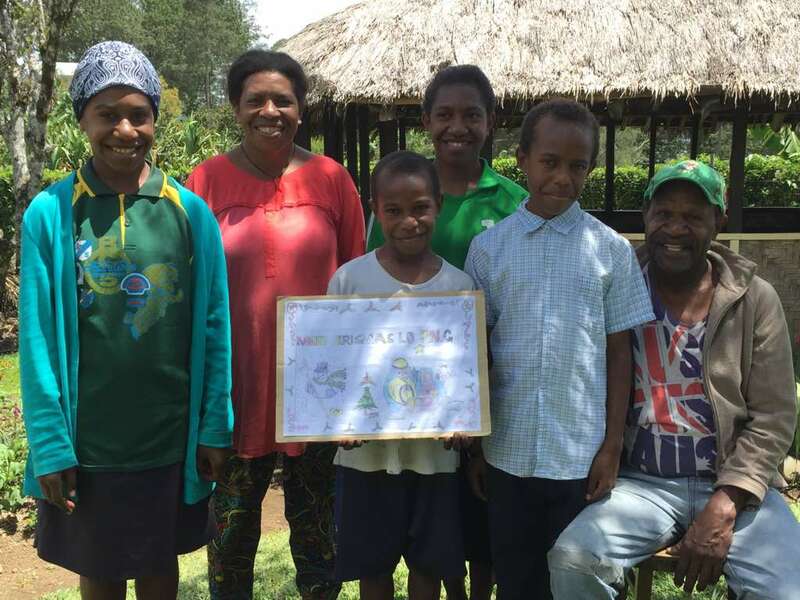 Apprentice electrician Tep, with Maria, Roseina, Julie, Abdon, Christina, Anton and poster artist Peter in Mt Hagen. 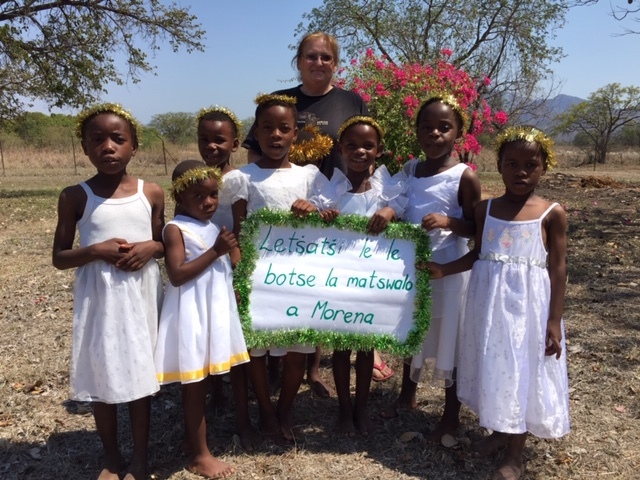 Nurse Carmel Lawry taking a break from Holy Family Care Clinic with some angels in South Africa. 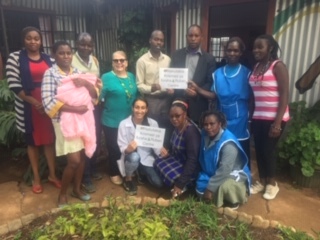 It’s a little blurry in Kenya but the staff at the Ruben Centre, together with Laura and Bev, provide essential medical services to residents of the Mukuru district of Nairobi. You can support Palms work overseas this Christmas by purchasing an e-card from our Gift Shop.